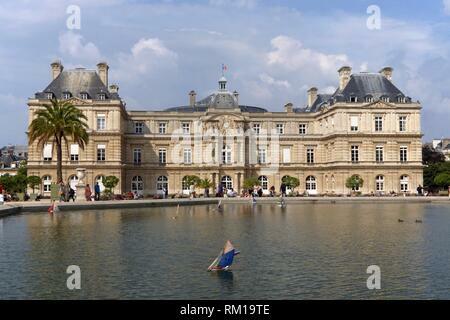 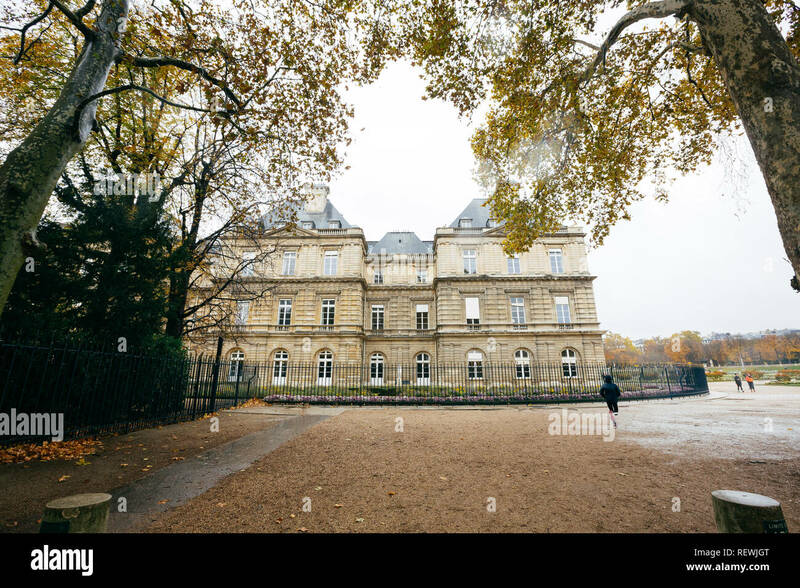 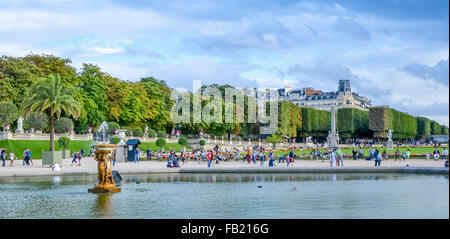 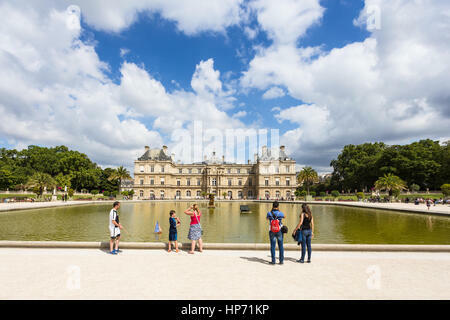 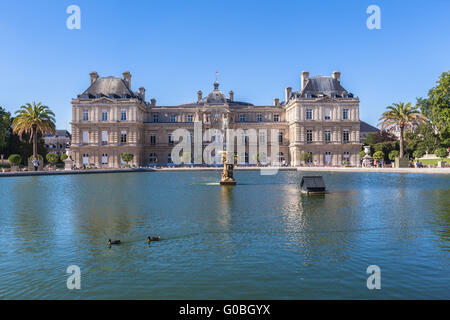 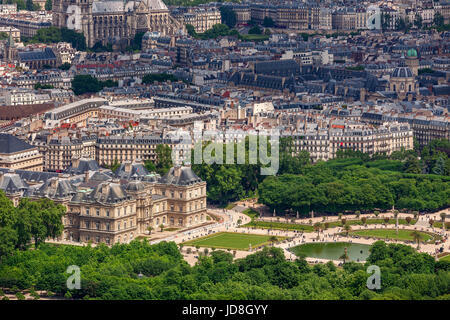 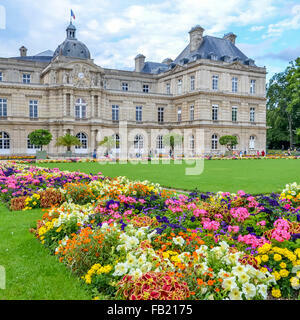 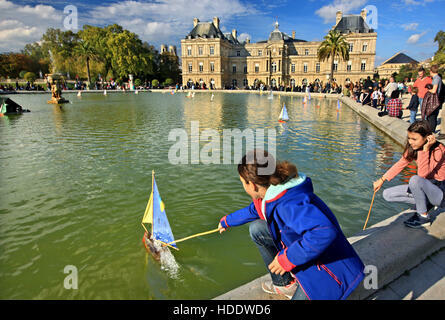 PARIS - AUGUST 6, 2016: Tourist enjoy view of the Luxembourg Palace in Paris, France capital city. 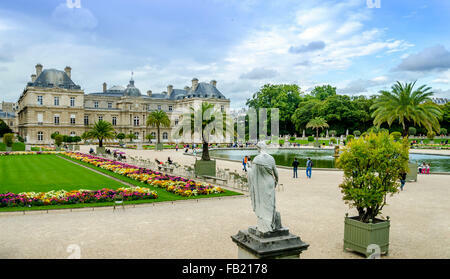 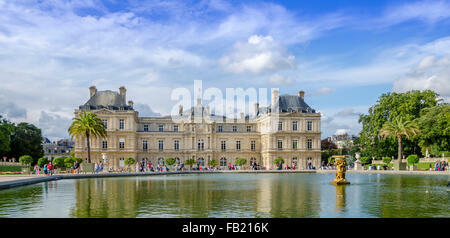 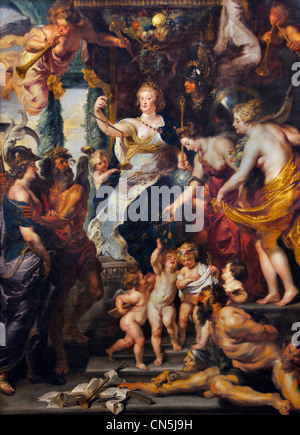 Paris (France) Luxembourg Palace in the city of Paris. 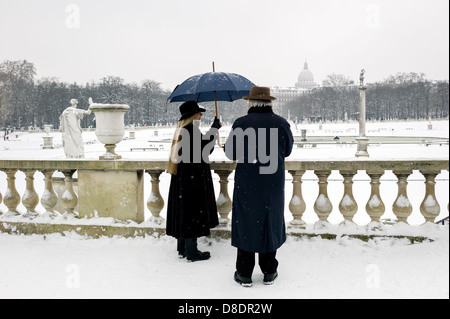 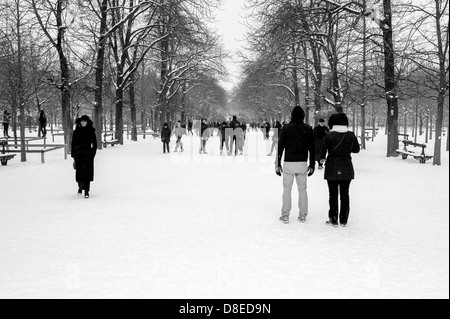 Senior couple enjoying snowy park.